The narrator explains that he has been in trial for seven years for the murder of his mother. His lawyer explains that if the court understood how brutally he had killed his uncle that the death of his mother would seem anything but the kindest of acts. The judge takes the bait and asks for the narrator to explain. The narrator begins with his childhood and how they were converted by a preacher from stealing on people on the road to setting up a dance hall. The father gives the business to his brother and some years later, the narrator is held up by the uncle with other passengers. The narrator plays the part but later goes to his uncle to get his money back. The uncle denies everything and in escalating talks, decides to open up a dance hall nearby to ruin the narrator's father's business. The narrator decides the uncle must die and joins the Knights of Murder. He visits the uncle's house one day and finds his aunt. He explains to the aunt his intentions and she says she understands but that better men have tried. The narrator gets the jump on his uncle who was skinning sheep and knocks him out as well as cuts his Achilles tendon to keep him from running. The uncle pleads to at least be killed in his own home and the narrator says that is acceptable if the uncle will allow himself to be put into a sack. Once in the sack, the narrator ties up the sack to hand from a tree in the part of the yard where a ram is out and about. The ram is infamous for brutal smashing anything in its sight. The narrator makes sure that the sack is prominently displayed and encourages the ram to smash it. The ram does so several times before hitting it one time hard that it is sent flying through the air far away. 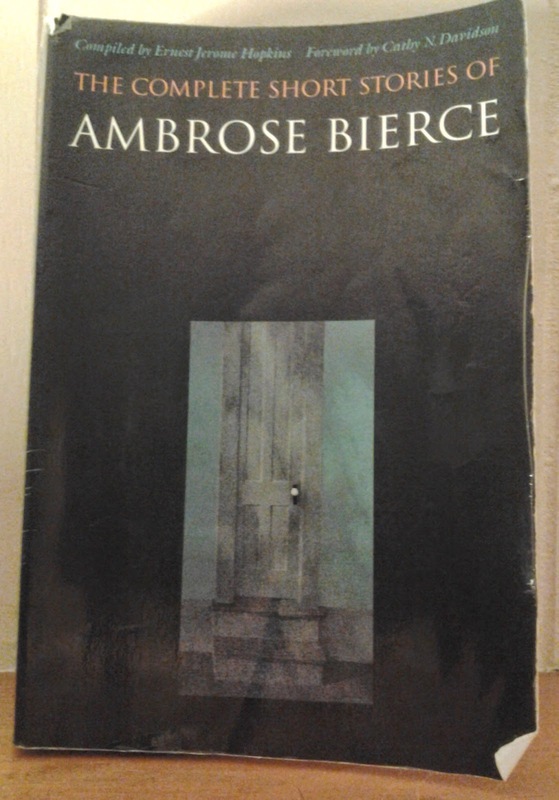 Another amusingly sick and twisted tale from Bierce. It makes me wonder what kind of tales he would have told were he alive today. There's much about his sicker narratives that make me think he would have been great on shows like Dexter.